I really hope you like this, incredibly delayed video. I had an absolute nightmare uploading it onto YouTube and it's spent a good two weeks just stuck in iMovie, much to my dismay. 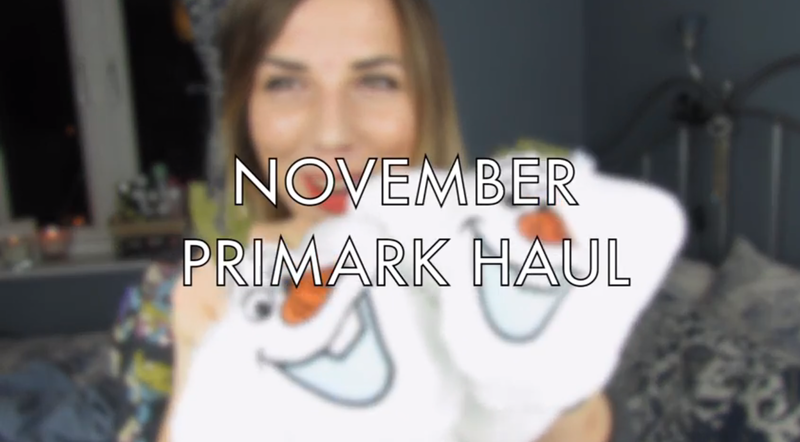 I'm pretty stubborn so this video was going up regardless of whether it was almost December, ha! Zoella Beauty Let's Glow Candle, Aveda's Pure Abundance Hair Potion, Rodial's Eye Sculpt and Elizabeth Arden's 8 Hour Cream Lip Balm! All you need to do is subscribe to my channel, like the video and comment your favourite of my favourites. The competition is open till midnight (GMT) on December 15th and I'll post the prizes to wherever you are! Sorry for the slight delay between my previous video and this, the fuses in the two lights I use to film with blew and a replacement set took forever to arrive. I've got another video coming to you tomorrow to compensate for the delay, where I may be running another giveaway, so ensure you subscribe to my channel and check back! So I walked into Primark and things fell into my bag, I fell onto the tills and this happened - oops! 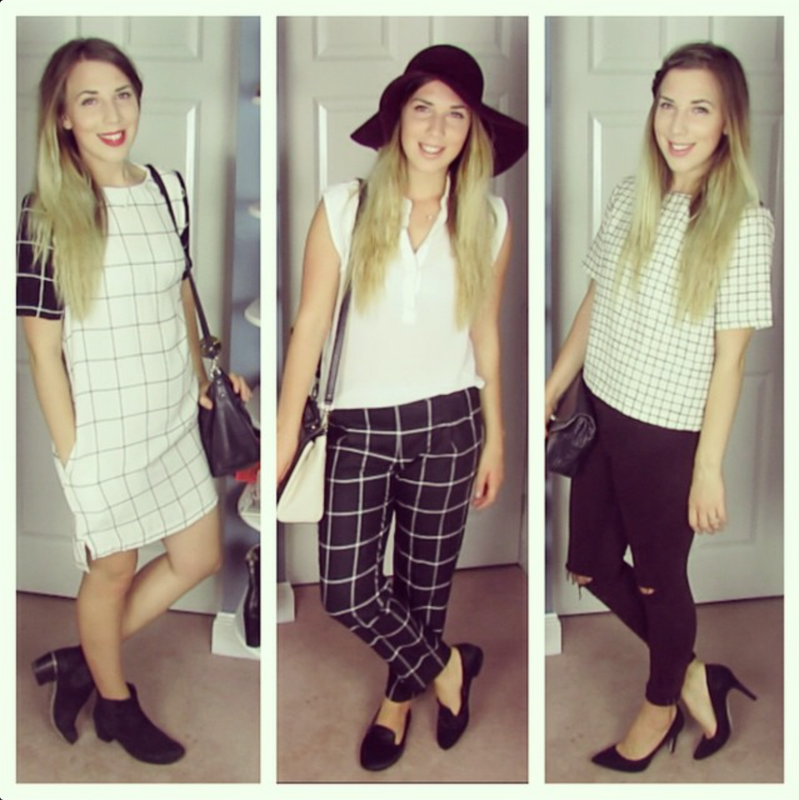 I'm currently obsessed with checks, especially ones of the window pane variety: these are three of my favourite ways to wear the trend. 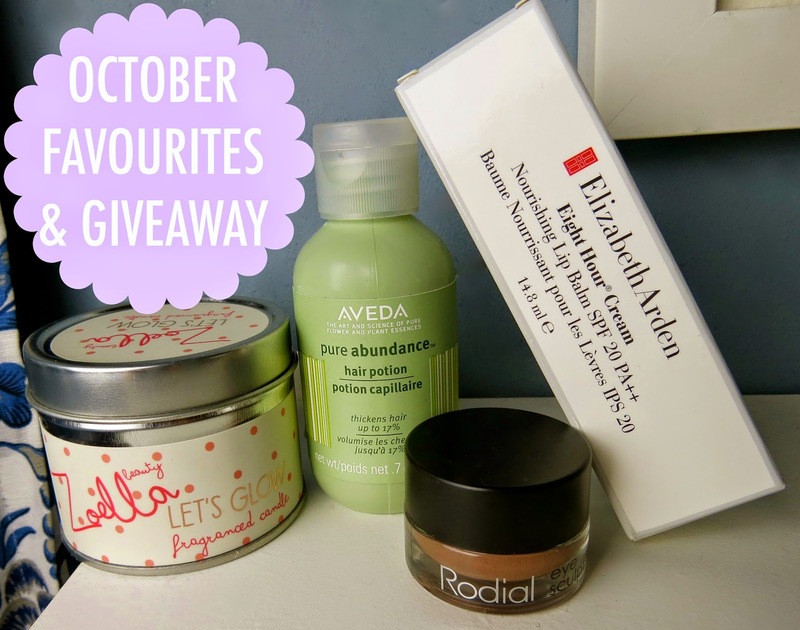 If you haven't entered it already, ensure you check out my September Favourites Giveaway here! So Eco Powder and Foundation brushes, Melvita Extraordinary Oil, Anatomicals Oi You Throbhead Headache Relief, OPI Gaining Mole Mentum Nail Varnish, Revlon Apricot Nectar Nail Varnish, Clarins Instant Light Natural Lip Perfector, Hi-Brow La La Lash Palette and Dawn O’Porter’s Paper Aeroplanes. The competition is open worldwide, I’ll post the prizes wherever you fancy! Orange is my fave colour this season and thought I'd share three different ways of wearing the on trend autumnal shade with you! Have a sneak peek at the SS15 collections for: J.JS Lee, Eudon Choi, Jean-Pierre Braganza, Felder + Felder and Christopher Raeburn. I loved the fluidity of Christopher Raeburn, colour pops, cowboy boots and beautiful bouffants at Felder + Felder, Jean-Pierre Braganza's monochromatic perfection (the white waistcoat was spot on!) and the dreamy flats at Eudon Choi. 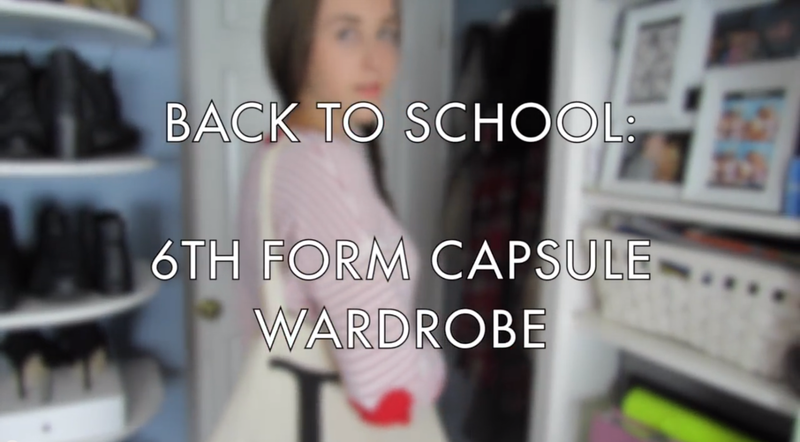 My little sister Lucy's started back at 6th Form this week, so we thought we'd share some of the looks she's going to be wearing with you :) I've had the most manic week and didn't manage to share the video on here before now. 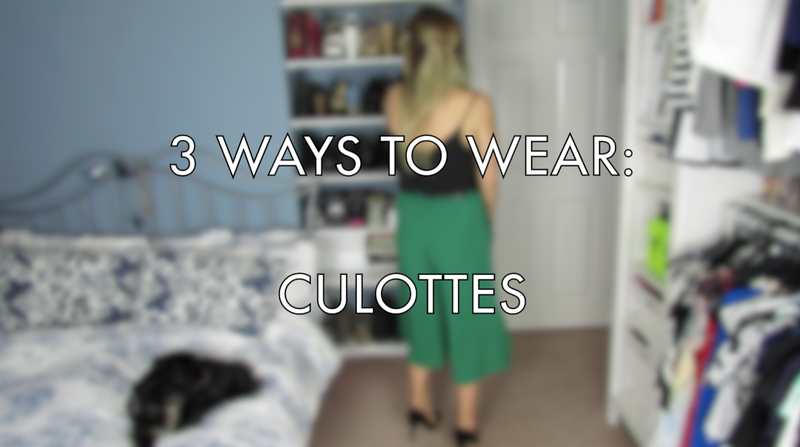 I hope you enjoy seeing the outfits we styled up together. Let us know what your favourite is! 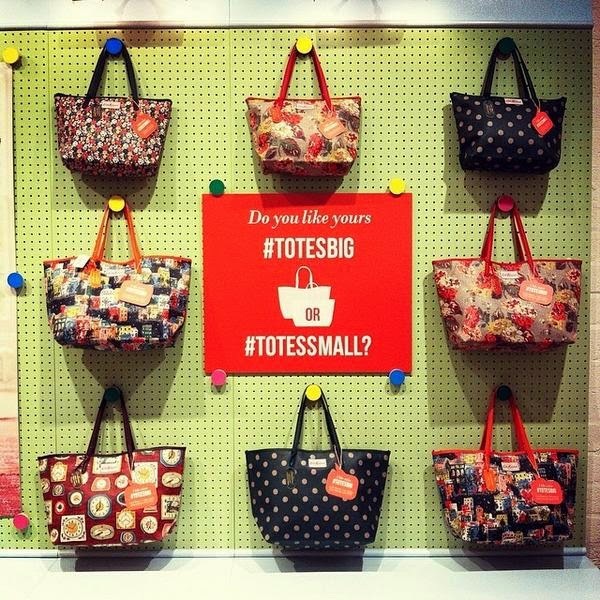 DO YOU LIKE YOURS #TOTESBIG OR #TOTESSMALL? 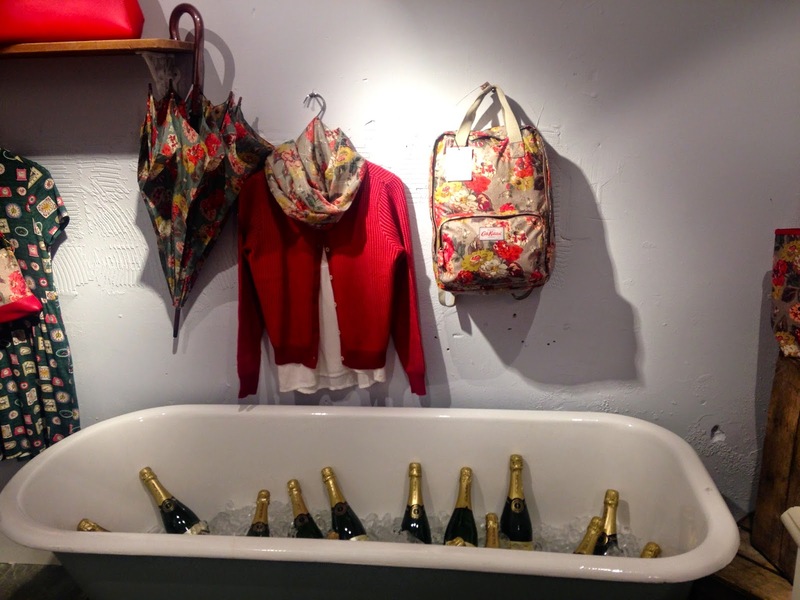 I had such a lovely time at the Cath Kidston #totesbig and #totessmall event this evening that I wanted to share some of the pictures with y'all. I attended the launch on behalf of the weekly publication I'm currently assisting at and had the best time catching up with old colleagues and good friends and messing around in the incredible illusion photo booth. You're bound to have seen the #totesbig and #totessmall campagin either in a magazine/newspaper or posted by your favourite editor/celeb on instagram. I love how creative and accessible the campaign is, enabling nosey rosey's like me to have a sneak peek into the bags of everyone from Daisy Lowe to Carrie Harwood. Everyone's been sharing their daily essentials and divulging whether they're a #totesbig or #totessmall kinda gal whilst showcasing five brand new super cute designs across two different sized bags. 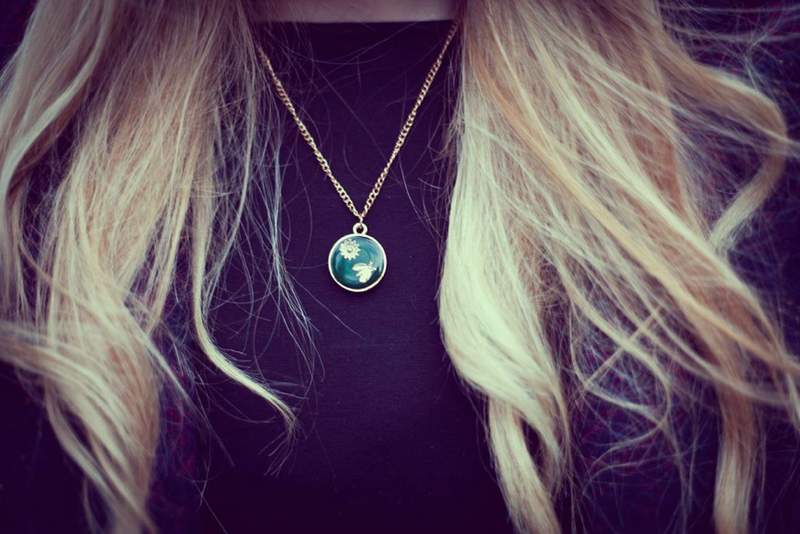 How do you wear yours? #totesbig or #totessmall? I picked up this dress a couple of months ago from Topshop - I'd totally forgotten about it, and these pictures, until I spotted it in the sale today for literally 1/3 of the price - SO annoying when that happens! It was significantly more revealing than I'd expected and very different to what I'd usually go for, which is definitely why I've not got anywhere near as much wear as I'd thought out of it. I'd purchased it without trying it on (I never try anything on instore), as I really loved the willow pattern design and the cute pops of pink. I teamed it with this light-wash oversized denim jacket, also from Toppers, and my scuffy old Vans to go to a local market with my sister. I saw a shark fin whilst on a boat trip in New Zealand for no more than three seconds and they were undoubtedly the best three seconds of my life thus far/possibly ever! 1. 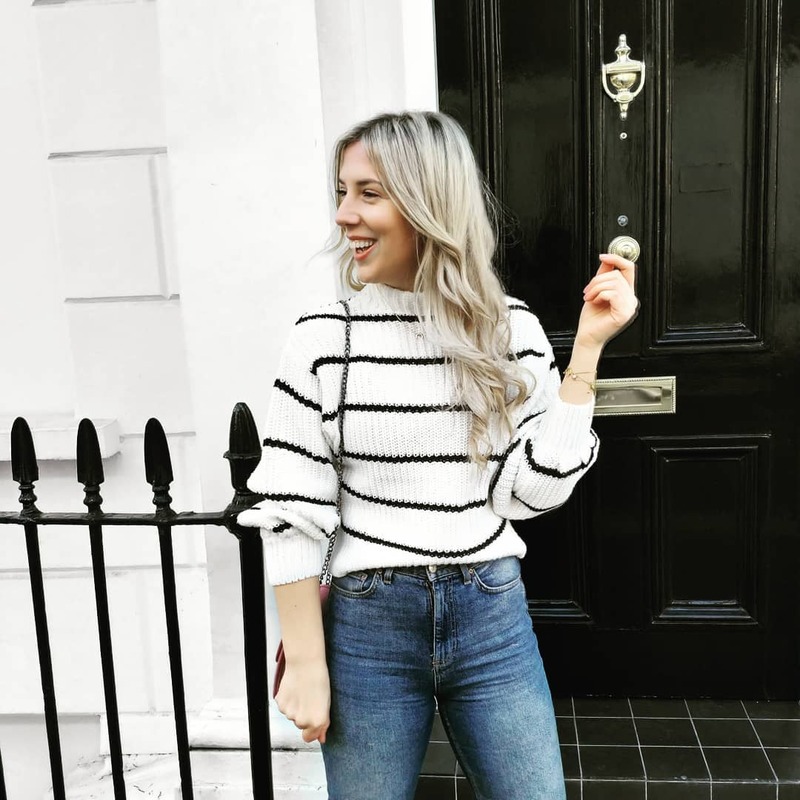 River Island's white leather cross body bag is the perfect summer accessory, with enough room for your phone, cosmetic case and a cheeky hip-flask it'll see you through all the remaining summer festivals <3 I'm a huge fan of the fringing and, of course, the silver-toned tooth detail. 2. Make a statement with this graphic printed cropped tee by Au Jour Le Jour, I was so distracted by the sharks that I only noticed the star-censored Barbie later... It's currently half the usual price in the sale at Farfetch.com - hurrrryyyy! 3. I'm OBSESSED with this incredible Chantecaille Save The Sharks Eye & Cheek Palette. Inspired by the colours of the ocean with a mixture of deep ocean blues (so AW14) and golden blushes, it's the perfect gift for shark loving gals like me! Chantecaille are also donating 5% of profits from the Save The Sharks range to the BLOOM association (to ban unregulated shark fin trade) which gets a big thumbs up. 4. 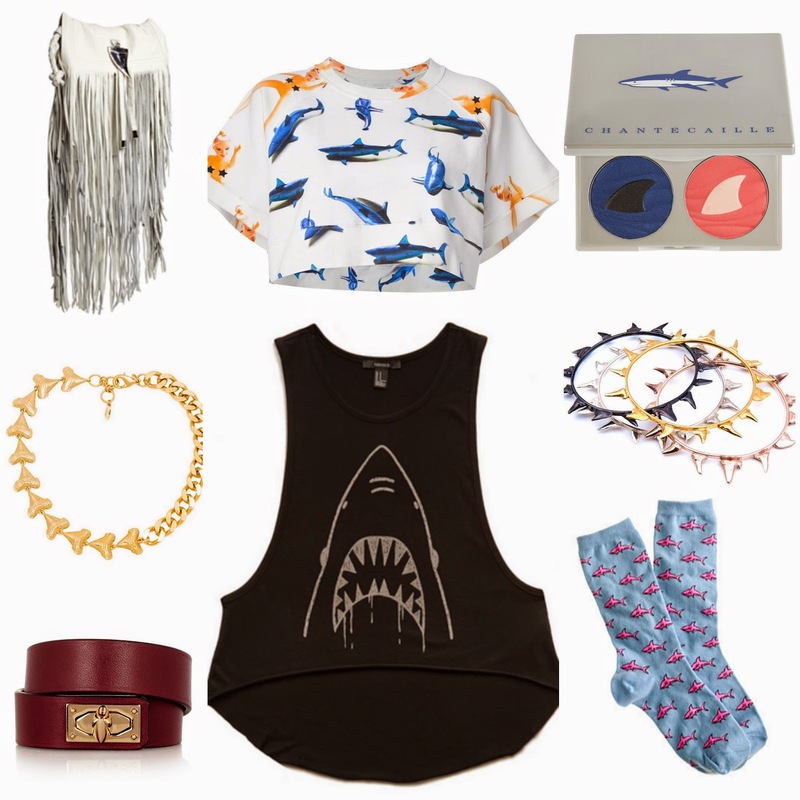 Handmade in Kent, Beau & Arrow have the cutest shark themed trinkets on the market. Available in silver, rose gold, gold and black ruthenium they're a great way to toughen up your look. 6. Emulate the iconic Jaws moment in this Forever 21 vest! I finished my role at Reveal magazine last week - it was a manic final week and the lovely team utterly spoilt me with tonnes of beauty bits and the dreamiest skirt I've ever seen - I'll share it with you over the weekend as it's just pure perfection. I wanted to share my final contribution to the Reveal's Steals blog with y'all! I'd organised a £50 voucher to coincide with the first post and was so grateful to the babes at Primark who were willing to offer a £100 voucher to accompany this post. 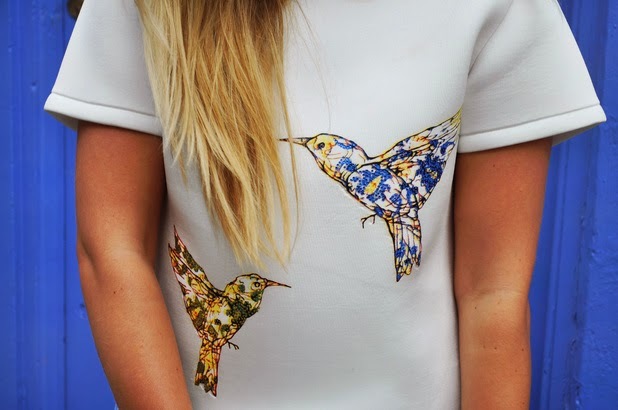 I was given a sneak peek at their AW14 collection and fell majorly in love with this super cute neoprene and lace bird print tee and cute powder blue skirt - both are only £10! 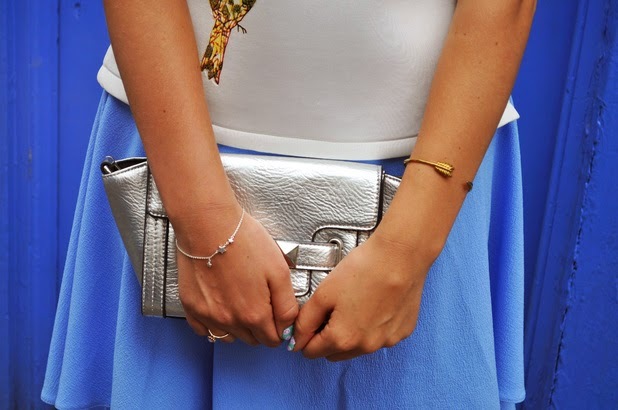 I teamed the pieces together accessorising with a pair of flatforms from Moda in Pelle and my fave metallic Marks and Spencer bag, which has barely left my shoulder all summer. 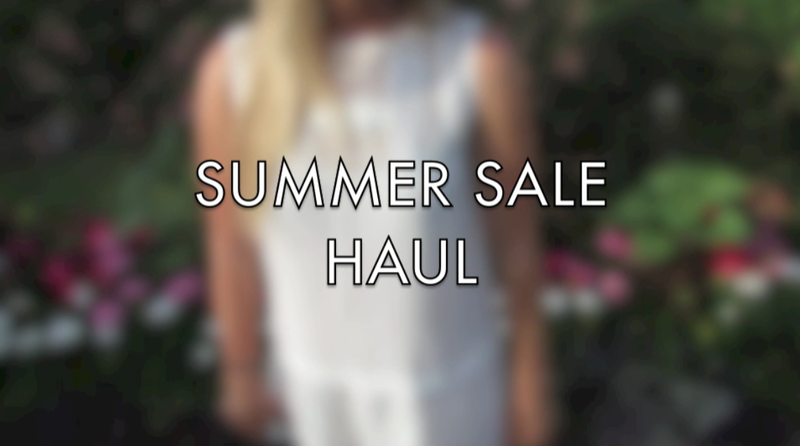 Since returning from my idyllic family holiday in Cape Verde (you can see the summer holiday haul that I filmed whilst there here) I've found myself buying a lot of summer pieces in the sales. I seem to have acquired shopping amnesia. I find myself at the Topshop tills with an arm full of sale items and no recollection of actually picking them all up...when it gets to that point it'd be rude not to buy all the bargains I've picked up - well that's how I'm currently justifying my excessive shopping. I'm really starting to enjoy filming for my channel, it still doesn't feel natural or normal and I'm always mortified for at least an hour I've made the video live. But I don't think it's a process you'd ever get used to. Let me know if there are any videos you'd like me to film and make sure you like this video to help me justify my spending. I've just returned from my family holiday to Cape Verde. It was so idyllic I've since been in a perpetual state of holiday blues :| I was so busy before I left that I annoyingly didn't manage to upload anything onto my YouTube channel, so I've got quite a few in the pipeline now. 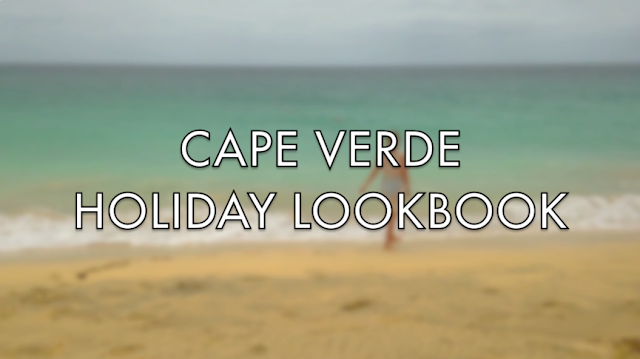 I received some lovely feedback on my Festival Fashion video so I thought I'd share what I wore on holiday with y'all! Let me know what you think to the looks and if there are any other videos you'd like me to do! Dress, bag and shoes all New Look. I'm currently working at Reveal magazine and was asked to set up and contribute to a blog. Focussing on sourcing celebrity inspired high street fashion. Each week a member of the Reveal team will post a look showcasing a trend or seasonal look. I was set the task of sourcing an outfit for under £65, I chose New Look and stumbled upon a cute Broderie Anglaise dress which styled with red heels, matching lips and a chic bag. The best thing is the whole outfit comes to just £60.97! 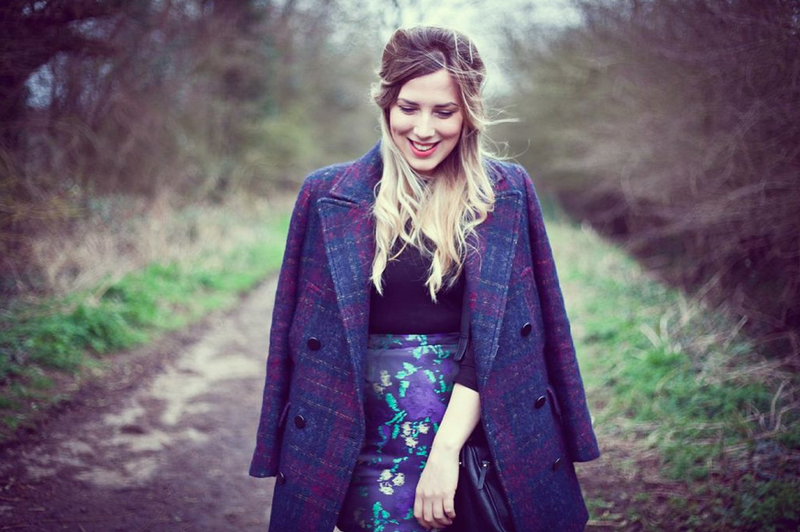 To celebrate the first Reveal's Steals first post New Look are giving away a £50 voucher. To enter the competition click here and follow the instructions (all you need to do is post on the article what you'd spend the voucher on!) Good luck! I was lucky enough to assist on a shoot at the iconic Ocean Beach in Ibiza a couple of weeks back with Reveal magazine. It's a celeb hotspot and I've been enviously checking out all the pap shots on Daily Mail Online and wishing I was back there. It's so luxurious and has such a cool vibe. If you haven't been I'd highly recommend checking it out! This was quickly taken once we'd wrapped by our megga babe of a make-up artist Lauren, so please excuse my messy hair and creased dress! Also I strongly advise y'all to avert your eyes from the horrendous tan lines on my poor feet. 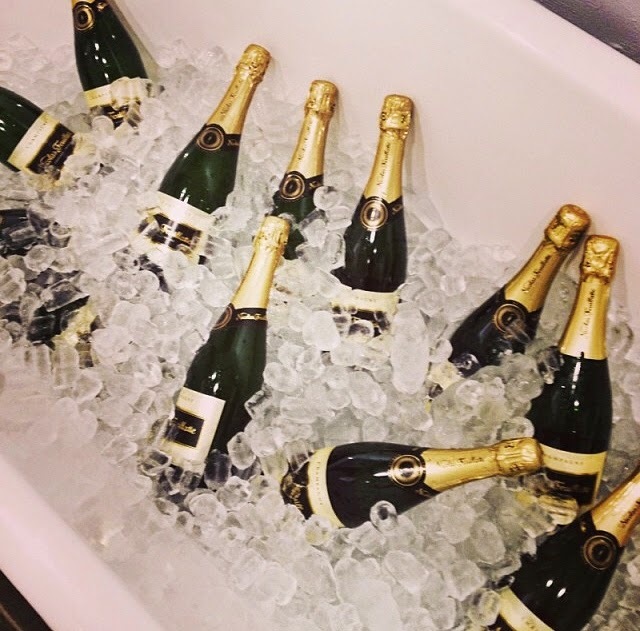 It was a manic week (we did twelve shoots in five days!) and they evidently did not receive adequate sun cream coverage! I was so jealous of my friends festival tales from Parklife and Field day last weekend that I wanted to get into a festival vibe too, so I thought I'd share some outfits with you guys! If I'm lucky enough to get tickets to a couple of festivals this summer, I'll definitely be wearing a selection of these cute, colourful outfits! I got caught in the rain several times this morning on the way back from London :( so I was ridiculously happy to see the sun finally come out this afternoon! I had the nicest afternoon chilling with my chickens and fam. I picked this mix-pile tea dress up on Friday from the Oxford Circus branch (there's SO many incredible bits in there at the moment!) and absolutely love it. The contrasting patterns and colours are so flattering, with the mustard-toned panelling along the front and around the waist giving the illusion of a thinner waist - something I'm a big fan of as I have a massive complex about my chunks ribs. I'm off for drinks with my pals this eve and may keep this dress on, it's so easy to dress up and down and is something I've already earmarked for upcoming festivals. It's definitely going to be one of my summer staples! Have you picked up anything from Topshop recently, I've got a feeling I'll be heading back in on Monday to grab some more bits! Specially formulated by French dermo-cosmetic brand Avène their entire product range is dedicated to each and every level of skin sensitivity, from sensitive to severely allergic. This cleansing oil contains CER-OMEGA which repairs and nourishes the skin, whilst strengthening the skins protective hydrolipidic film. Whilst the oil can be directly applied to skin, as I don't suffer from any particular sensitivity I've just been using the product once-to-twice weekly in the bath: pouring in the equivalent of five pumps whilst filling up my bath. Completely fragrance and soap-free it leaves my skin feeling smooth. I'm a huge fan of L'Occitane products and loveee this gem. Infused with extracts of Néroli and Orchidée the shower gel gently cleanses and moisturises leaving a lovely fresh-floral scent. It's so dreamy I'm super tempted to purchase the matching fragrance. First off, this is not a life-changing product, but it doesn't promise miracles. Whilst my skin has felt replenished and rehydrated since I've been using it on a weekly basis, it's not my all time favourite hydrating mask. It's an inexpensive, but perfectly nice product that applies easily and is hypoallergenic and completely Paraben free, which gets a big thumbs up from me. I'd really recommend it if you're after a budget friendly skincare boost, but would recommend Clinique's Moisture Surge Extended Thirst Relief if you've got a few more pennies to spend. I'm currently working at a popular weekly fashion magazine and spent last week in Ibiza on a work trip, it was incredible but very manic - we shot 12 fashion stories in six days! It was the first time I'd been to Ibiza, we stayed in an insane villa in a small village outside San Antonio. Let me know if you have any recommendations - I'll definitely be heading back there with my boy next summer. 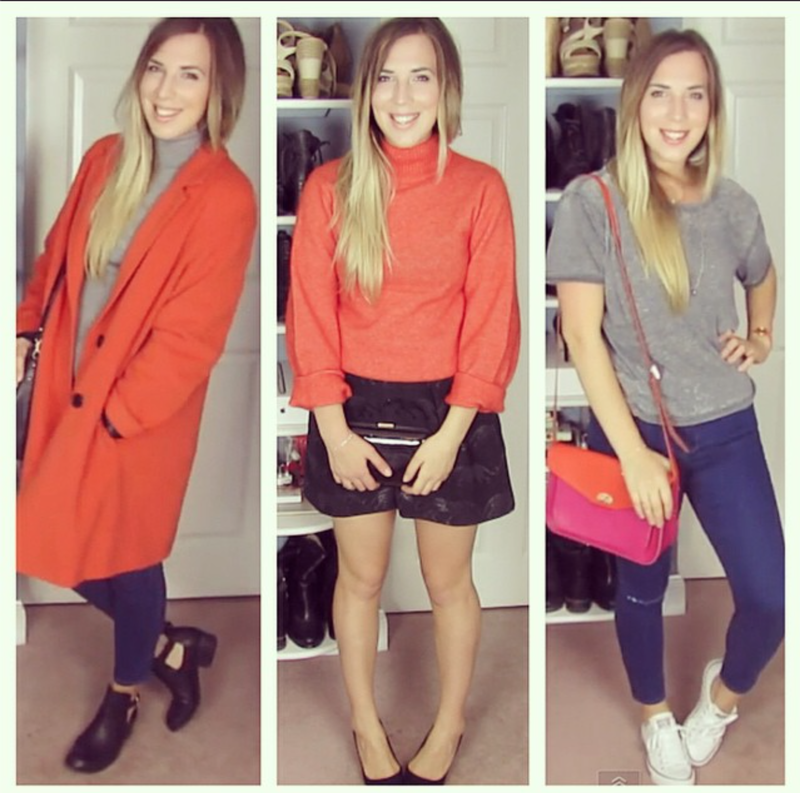 Tweet me (@SarahRHarrison) or comment below to let me know what you'd wear it with! I picked this hydrating moisturiser up at a beauty sale when I was working for a well known monthly magazine last year as I'd heard great things about the brand and was intrigued to try out their products. I didn't really have many expectations for the product as I just quickly grabbed and paid for it. Those of you who have been lucky enough to attend a few beauty sales will know how extreme they are. There's not a second to spare as the moment you pause to contemplate a product will cost you the product, you just have to grab what you can and hope for the best. 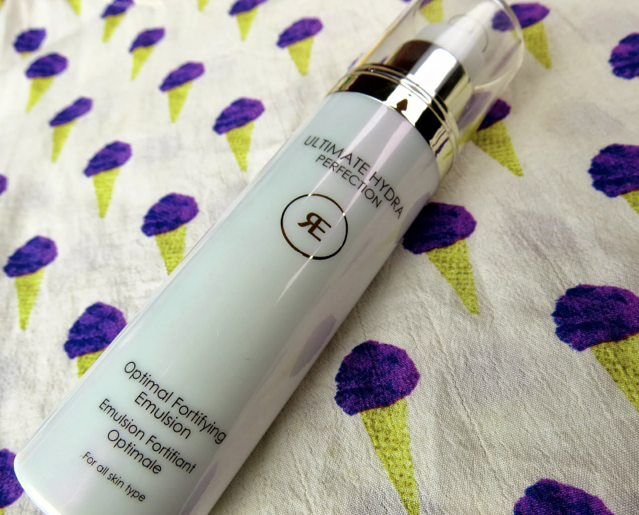 From Racinne's Ultra Hyra Perfection range, the Optimal Fortifying Emulsion is enriched with grape extracts (known for their antioxidant effects), sea plant extracts (to increase firmness and reduce the appearance of wrinkles) as well as multivitamins creating a hydrating concentrate which renews and nourishes skin. The light formula is crammed full of supercharged skincare ingredients which protect against harsh climates and everyday pollution. The concentate also contains amino acids to promote healthy cell growth and protect collagen, is paraben free AND isn't tested on animals: it pretty much ticks every box in my skincare wish list. I've been using two pumps of the clear concentrate every morning after cleansing for just over three months and have noticed a real difference in how my skin looks and feels. Upon application my skin feels hydrated, replenished and tighter. My Mum's been using it too and her skin has a visible glow, which she's super happy with. Although I didn't pay the full price for this I'd definitely purchase it again. The only UK stockist (I've found) is Fenwicks, I'd really recommend popping in and asking for a sample if you're close to one. Racinne's Ultra Hydra Perfection range is suitable for all skin types and is definitely worth trying if you're looking to rehydrate your skin. A couple of weeks ago I accidentally stumbled upon the Zara website and a lot of lovely things consequently fell into my basket. The Zara sale is not one to miss. Not only are the reductions insanely tempting they always have such a vast array of well made, staple pieces. I picked up: a coat (pictured and reduced from £150 to £49.99), two skirts (a cute blue one and the one pictured: both reduced from £25.99 to £7.99 ), this plain black tee (£5.99 from £18.99) and a lovely black top with sheer lace panelling down the sides (£4.99 from £25.99). I love a good bargain and was really pleased with these pieces, especially as I picked them up so close to the end of the sale. With the horrible cold and wet weather we've had throughout February/March I've practically lived in the tartan oversized boyfriend coat. I have a major penchant for coats, as I think they can totally change an outfit, dressing looks up or down with ease as well as providing loveworn pieces a new lease of life. 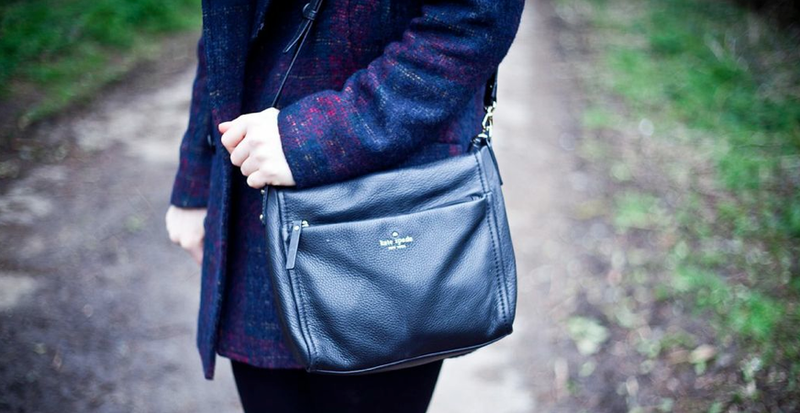 Have you picked up any pieces in the sale recently? As I type this I'm sat in a beautiful light-blue coat I stumbled upon in the Miss Selfridge sale yesterday…yeah, I definitely have a coat problem. I'm a huge fan of do-it-all balms. I don't leave the house without either a tube of Elizabeth Arden's trusty eight hour cream or Japan's bestselling take on it, safely tucked away in my bag. The 'Do-It-All' balm caters for every possible eventuality you encounter throughout the day: it's perfect for tending to chapped lips, dry skin and a huge list of first aid functions (including frostbite) to name just a few of its many, many uses. Yu-Be's Moisturising Skin Cream has been around since the late 1950's, it was created by a pharmacist, Yoshikiyo Nowatari, as an alternative to the many petroleum based-moisturisers available. Through a secret manufacturing process he created a highly concentrated Glycerin-based cream which replenishes lost moisture from the skin whilst eradicating excess grease: a common issue with petroleum-based products. Packed with vitamins E and B2, the bright yellow product, has a strong camphor scent which does linger upon application, something which can be quite off-putting for anyone with a sensitive nose. However it is a miracle product which works just as well on your face as it does your fingers and feet. I've introduced so many of mine and my Mum's friends to Yu-Be's wonderful balm, and I'd definitely recommend sniffing it out, if you struggle with the majorly menthol scent it's worth persevering as the results are worth the whiff. I’ve previously posted about my love of oils, I think they're so beneficial in lots of different ways: I incorporate quite a few into my daily and weekly beauty routines and this is one of my all time favourite hair oil. First, let me say that this product smells just INCREDIBLE. I can't even describe it properly, it's just very yummy and fruity and almost good enough to eat (although I definitely wouldn't advise consuming it). It's lightweight and feels quite luxurious: made from naturally active ingredients including radish seed oil and Kenyan yangu oil it conditions and smooths hair for a luminous shine whilst also protecting against heat damage. This product is also alleged to reduce blow-dry time, something that I've sadly not experienced. My hair's grown a considerable amount over the past year and blow-drying time is consequently getting longer and longer so I'm always eager to try things that claim to shorten it as I get quite impatient. I've had bleached blonde hair since I was 15 and worry an awful lot about it's condition as it often gets very dry and tangly. I've been using this oil after almost every wash: towel drying my hair then applying 3-5 pumps and running it through the ends of my hair up to around four inches from my roots before combing it through and blowdrying as usual. I've been so impressed with the results, my hair doesn't feel sticky or greasy at all (which is always a worry with oils) just smooth and frizz free. After over four months use I've worked my way though just over a quarter of the 50ml product: which is pretty good value, especially for such great results. At half the price of the cult Moroccan Oil and has transformed the texture of my hair in the same way, so if you're looking for an oil which really works I can't recommend this enough - especially if you've got hair like mine. I was looking for a new day-cream at Christmas and stumbled across this range whilst shopping in my local Boots. Formulated by celebrity facialist Úna Brennan, this day cream is part of her Rose range, which seems to be exclusively available through Boots, it aims to hydrate, moisturise and protect you skin. With SPF15 it's a perfect everyday base, offering UV protection throughout the day. I've been applying this most mornings for the last three months, alternating between it and my fave Origins Make a Difference + cream, as a primer and I've been so impressed with the results. The combination of natural soothers, Cucumber oil and Marshmallow extract replenish and rehydrate, which left my skin feeling really fresh. I'm particular fussy with what I use on my skin and often look for products which are suitable for sensitive skin as I find I'm more trusting towards them and prefer the results. The Super Facialist range is a very well priced range and is often available in Boots' very appealing 3 for 2 offer. Whilst I don't mind investing in great skincare I love drugstore gems and this is definitely one of my best finds: I'm looking forward to trying out more products in the range and have started saving for a facial with Úna herself. Have you used any of Úna's Super Facialist range? What're your recommendations?